Good news for David Weekley fans. The home builder will be coming to the master planned community of Village Park in March, 2011. Residents enjoy the community pool, walking trails, and the exemplary Allen Independent School District. David Weekley is America’s largest privately held home builder, and their homes are often recognized by the covered porches we enjoy so much in Texas. 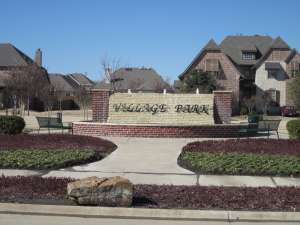 Village Park is just north of the Sam Rayburn Tollway (Highway 121) and borders Allen, Texas with easy access to I-75 and the Dallas North Tollway. Nearby retail and dining include historic downtown McKinney, The Shops at Fairview, and the Allen Outlet Mall. Search for Homes For Sale in Village Park McKinney TX.